Didn't TMart go to Corona Centennial? Made his final 10. Posted on Twitter for whoever wants to post the tweet. Hey...I think Nebraska was the only team out of the 10 with a losing record! Sweet! Interesting. I like it. We will be really surprised now when he commits to Neb. I think back to Ross Els telling everyone how hard it is to recruit to Nebraska, and how hard it was to get kids on to campus for unofficial visits. Then I look at our spring game visitor list, and I just want to laugh at Els. Williams deserves a seven figure salary if we can land this guy and Lewis. This is one asst we cant let leave! Right now I think we are good because his son is on the team for three more years. He will be here for the next 3 years with his son playing here. I don't see him leaving after his son transferred to join him. But, I do agree we need to pay this fellow. I agree...pay him. But, 7 figures is pretty hefty for a WR coach. I'm not positive, but I believe Lewis & Lindsey plan to drag things out and make commitments closer to signing day. 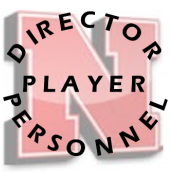 I think Nebraska will have 4 WR commits by then. The 2 we have plus a speed slot guy and a big outside receiver. If these two, or just one decide to commit, they are MUST TAKE guys. Meaning, we would take 6 WR if that's how it shakes out. We are in need of 6 Scholarship WR anyways after this year. We lose 3. Plus we lost Tolbert, Irons and another guy. We only added 1 - Keyan Williams. This guy looks like a shiftier Irving Fryar. Maybe not as fast, but the way he turns and burns is elite. Agreed, take them all and sort it out on campus. We aren't in a position to turn down talent like these kids. Iriving Fryar was much bigger (6' and 200 lbs and so much tougher blocker and that was 30 years ago when DBs were 165 lbs). Fryar ran about 9.9 100 and 4.35 forty. For everyone's convenience, the video has his Top 10 at: Alabama, Oregon, USC, Auburn, Michigan, Notre Dame, Ohio St, Nebraska, Tennessee, Texas A&M. That's a pretty impressive group to be included in. Hope he gets blown away at the Spring Game. Kinda confused. First off -all of his highlights are great. But they're all from him playing this past football year at Bishop Gorman. When did he transfer to California? I' assuming this is appropriate for this thread. I don't know, having a receivers coach (considered one of the best) that can relate to and recruit kids to Lincoln would be worth the 7 figures to keep around. Transferred recently. He wanted to come back home to finish his HS career. KW is the best asst coach/recruiter we have on this team. He even popped in to help recruit Lamar Jackson and Pernell Jefferson for 16' class. No question and I absolutely love the guy. However, over $1,000,000 for a position coach? Yes, you need to pay your best coaches. However, there has to be at least some semblance of organization in your pay scale within your staff. Are you going to do the same thing for Brey? He's done some very good things also. What if he pulls in 2-3 4* stud LBs, are you going to pay him $1,000,000 also? What then are you going to pay your coordinators that are above them? It's real easy to sit back and spend other people's money. That I can agree with. Offer bonuses? 10K for each 4 star you bring in...20k for a 5 star? In a regular recruiting season you are probably only bringing in about what, 5 players (yourself) tops? I never stated he has earned getting $1M salary. I think the highest paid WR coach in college is around $500k. Williams will now be around $400k. I would say that is about where he should be at the moment. Still, this guy is a beast and can connect with kids in a way that a lot of other coaches on this team cannot. I was hoping we could get somone on the defensive side like him, which didn't happen. Parrella is at least a lot better than what Hughes was here. Still, this guy is a beast and can connect with kids in a way that a lot of other coaches on this team cannot. I was hoping we could get someone on the defensive side like him, which didn't happen. Parrella is at least a lot better than what Hughes was here. The conversation was started because someone said he should get 7 figures. 7 figures starts at $1,000,000. That poster has since realized maybe that was a little high. We can all agree he needs to be towards the upper end of what a WR typically gets. I love it that he is visiting. However, I find this to be a little too aggressive of a thought at this point. It would be dang nice though. The spring game is shaping up to be one of the best recruiting weekends in recent memory as Nebraska is already scheduled to host more than 15 visitors with Husker offers. While the Tyjon Lindsey visit flip could mean a commitment is coming, I’ll stick with my gut and name Cathedral Catholic wide receiver Jamire Calvin as the next Nebraska commit on the offensive side of the ball. Calvin has held a Nebraska offer since February and is a huge fan of wide receiver coach Keith Williams and a close friend to Keyshawn Johnson Jr. and Tristan Gebbia. I think there is a lot of recruiting that needs to be done on this kid still. The spring game is shaping up to be one of the best recruiting weekends in recent memory as Nebraska is already scheduled to host more than 15 visitors with Husker offers. While the Tyjon Lindsey visit flip could mean a commitment is coming, Ill stick with my gut and name Cathedral Catholic wide receiver Jamire Calvin as the next Nebraska commit on the offensive side of the ball. 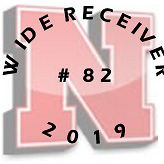 Calvin has held a Nebraska offer since February and is a huge fan of wide receiver coach Keith Williams and a close friend to Keyshawn Johnson Jr. and Tristan Gebbia. Which kid? Lindsey or Calvin? Maybe I just read it wrong. I could see Calvin committing soon. 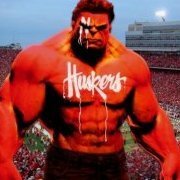 Said on Twitter he wants Husker fans to follow him since he will be in Nebraska. Wants to see what we are all about. Show him some love! There are only about 10 schools in the country who could pay K Williams more than we are right now. He's got a lot of momentum with his guys and is in place to pull a crazy good class in. Plus some coaches don't wanna coach the bama and auburn kids due to the attitudes and lack of work ethic that comes with some of those guys. I know auburn had several 5* receivers on their team last year but drugs, grades, and work ethic issues led to personal problems. A lot of guys would rather coach a team with greater work ethics and kids who take coaching. plus very few coaches leave working for Mike unless it's the NFL. Riley is just great to work for. He lets his guys do their thing and doesn't tell them how to do their job or micromanage them. Some of these guys like Harbaugh and Meyer are control freaks and jerks to their coaches.